Sony Ericsson knows that it needs to crack the US market if it wants to meaningfully grow its Android market share. 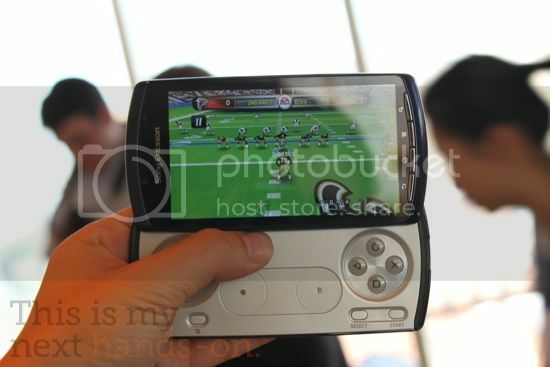 The Xperia PLAY is already available through Verizon and it will now be available via AT&T too. This will be the GSM version of the Xperia PLAY, rather than the CDMA version seen on Verizon. It will also be compatible with AT&T’s 21MBps HSPA+ 4G network. We imagine that it will arrive with stock Gingerbread too, much like the Verizon version. It will also come with Dungeon Defenders Second Wave, exclusive to the AT&T version of the Xperia PLAY. The AT&T Xperia Play will come in two colours, black and a metallic navy blue colour. There doesn’t seem to be any pricing details right now but it will apparently land on the network towards the end of the year. Check out a couple of hands on videos of the AT&T Xperia PLAY 4G below. Previous post: Sony Ericsson LT18i = next Xperia flagship?